And yes, Chromium is being a special little snowflake, because when does a Google product behave itself? @wavila Nice to see the blue bird icon there! Is it a Soulseek client? 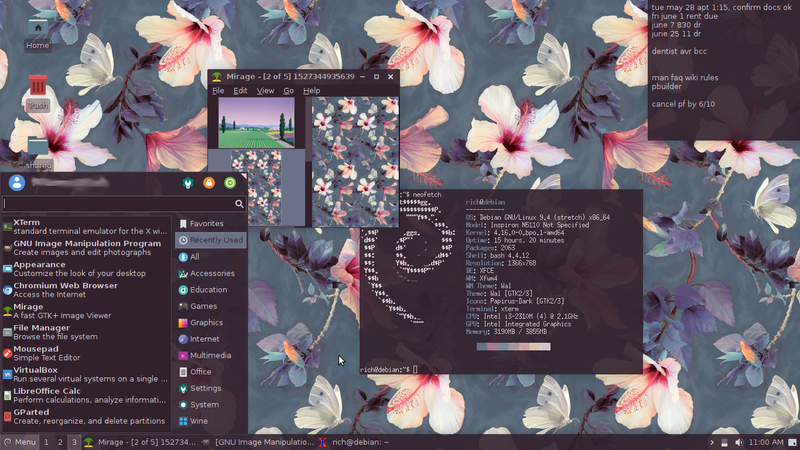 My new Debian 9.4 Stretch with Xfce...I love it! 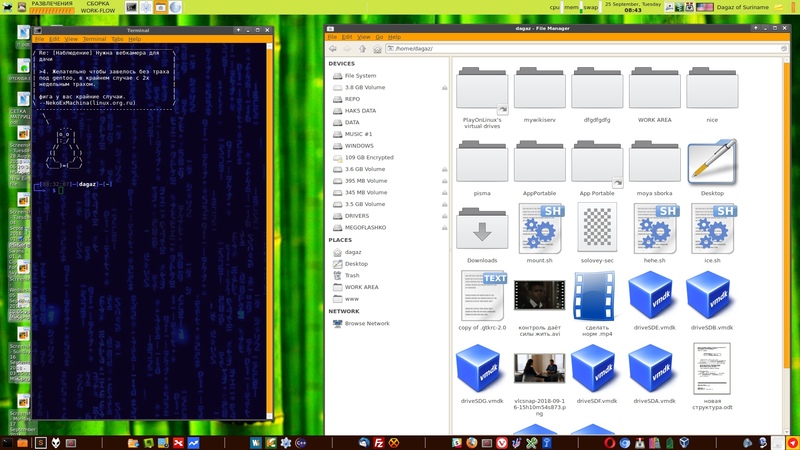 What conky is that, custom, or...? What panel are you using? 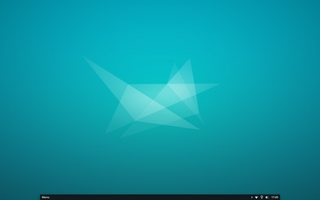 It doesn't seem xfce4-panel. 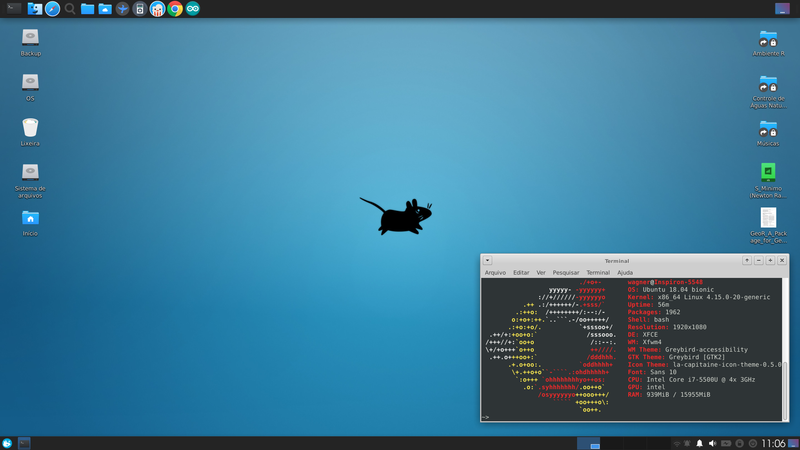 ema-pe, it's a stock xfce4-panel, just slightly configured. Length is set to 75% (panel is centered and locked), height is 24px, menu is a Whisker Menu with "label-only" option. The rest is a rather standard panel plugins selection (notification area, clock). 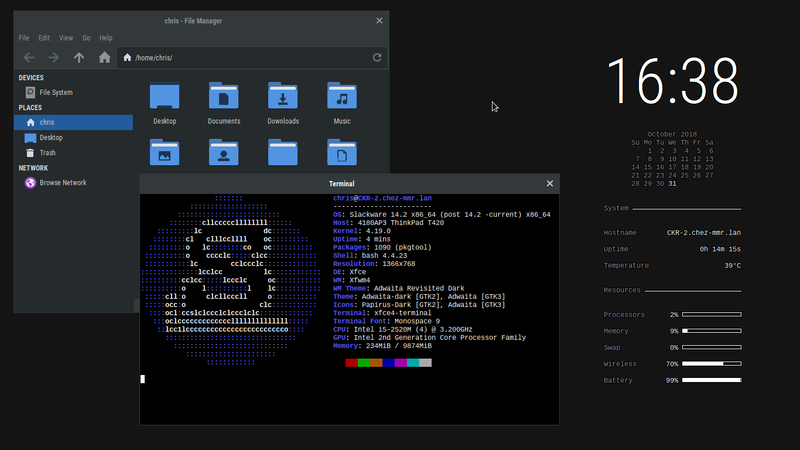 Oh, and I've enabled shadows on docked windows in Xfce compositing. GTK theme is Adapta-Eta, icon theme is Papirus-Adapta, wallpaper is from Xubuntu 15.10 Wily Werewolf. Overall, I wanted a minimalistic look, similar to panels often used with Openbox (tint2 etc.). Cool terminal! How to make such? 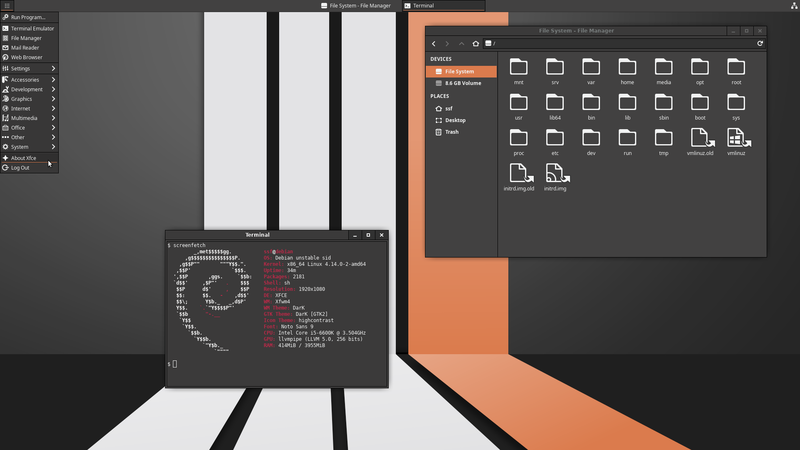 Pen, it's a xfce4-terminal with hidden scrollbar and menubar (you can do that in the preferences), custom colors and powerline-shell (slightly customized), you can find it here: https://github.com/b-ryan/powerline-shell Just follow the installation instructions. 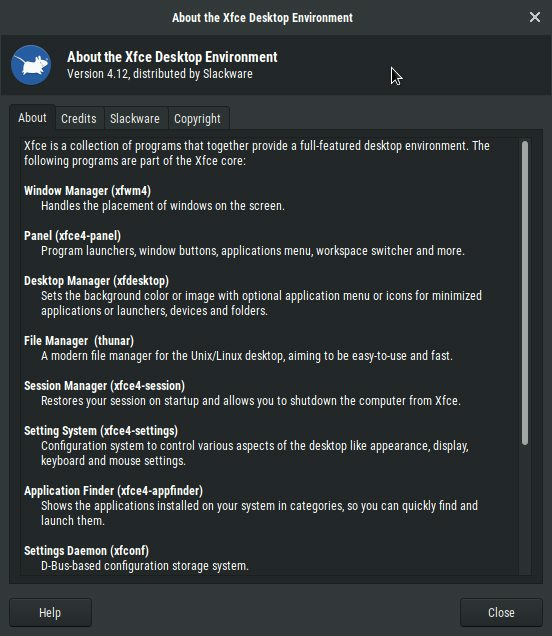 If you need help with it or you want my configuration files / theme, feel free to send me an e-mail. 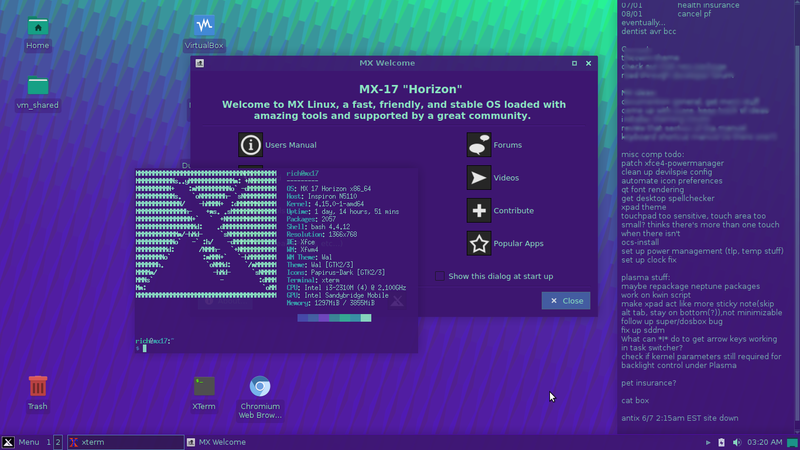 Xfce 4? Yikes, that was released 15 years ago. Maybe you should suggest that Slackware upgrade to the current version, or at least 4.10. Even version 4.2 added useful things (compositing manager for Xfwm, et cetera). 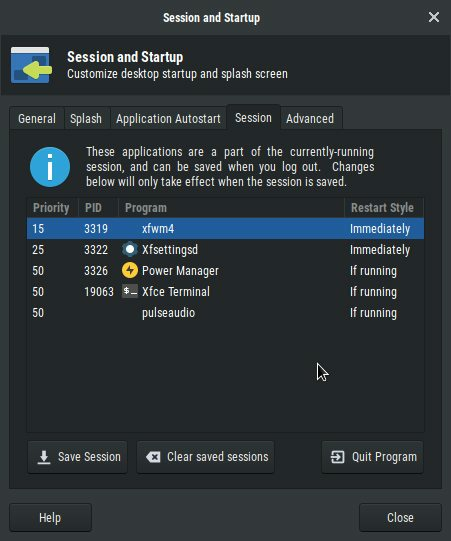 I know, 4.2 is greater than 4.10 - but they can't count in linuxland. 4.1(0) is the newer of the two. Oh. In that case, he's more "current" than I am. Apologies to ckrzen for my misunderstanding! Ack! I think I just hit the "Report" button instead of the "Reply" button on your post... sorry --- *sigh*. Anyway, I just wanted to say: thanks for the feedback! I updated my post to reflect your comment. well then - Happy new year! 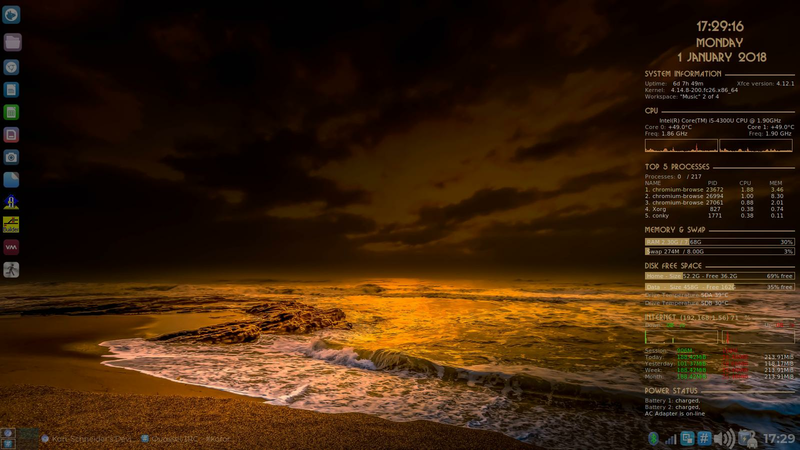 Nice desktop! 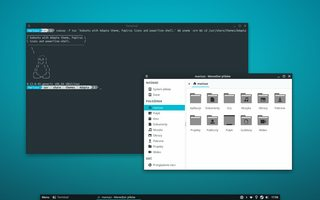 How you get that gnome looking menu? 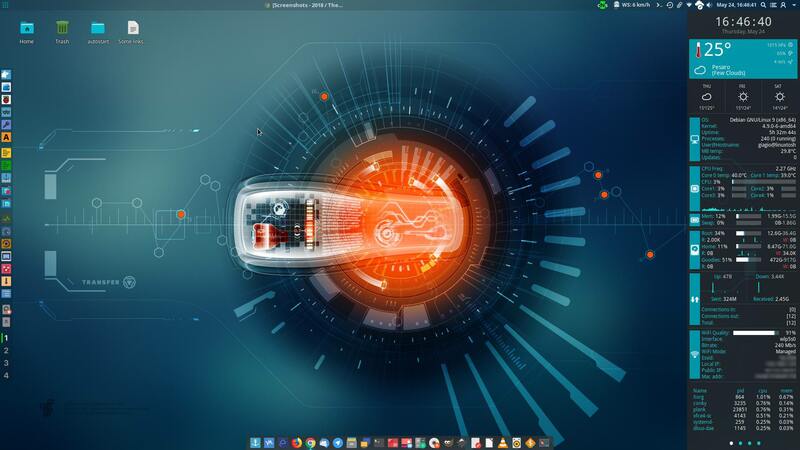 Could you share your conky setup? thx m8!! !